Save the date for our 2019 Papa Russi Memorial on September 23rd at our new location, the Inverness Golf Club! Registration coming soon. The PRM benefits the All-Stars Club and its programs providing a place of belonging for individuals with special needs. 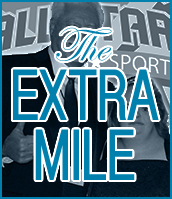 CLICK HERE to see all the great ways the All-Stars Club is changing lives!